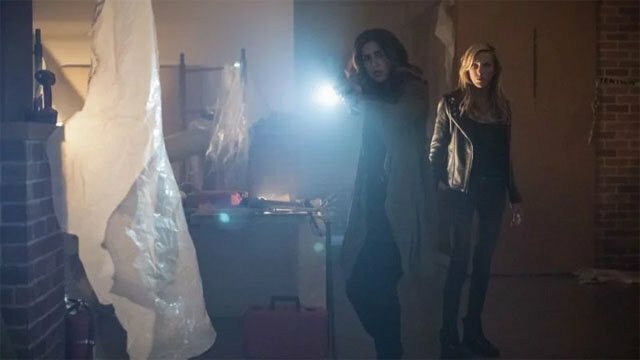 Arrow Season 7 Episode 2 Recap: "The Longbow Hunters"
You have to admire Arrow‘s commitment to a bit. Last season, Oliver Queen’s opening narration changed when he passed on the Green Arrow mantle to John Diggle. This season, it’s changed again to reflect his new identity: Inmate 4587. 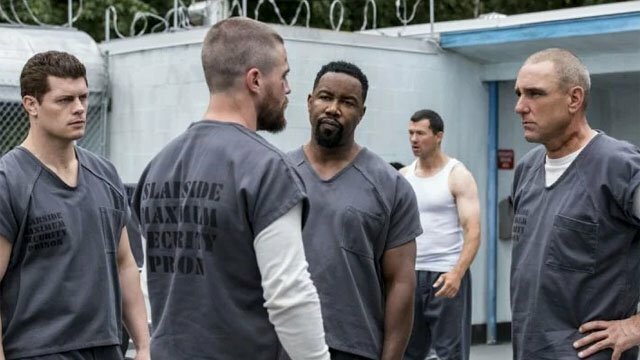 The season premiere established Oliver’s new status quo as a prisoner in a maximum security prison, along with plenty of criminals that he put there. But Ricardo Diaz is still running free in Star City. So in Arrow season 7 episode 2, Oliver decided to take some drastic actions to rectify that. Two days after getting thrown into solitary, Oliver was released back into the general population. 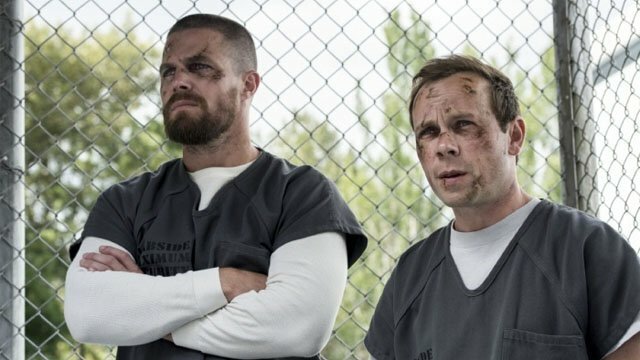 Stanley appointed himself as Oliver’s new sidekick, as the former Green Arrow attempted to get intel on Diaz. Oliver approached his enemies, Brick, Sampson, and Bronze Tiger for info. However, Brick refused to cooperate unless Oliver took out Peter Yorke, an outspoken prison guard. And Brick also intended for Oliver to murder this man. Oliver’s attempt to warn Yorke fell on deaf ears, and he mocked Oliver’s history as a vigilante. When Brick and company made it clear that they intended to murder Yorke, Oliver took care of the situation. Instead of using a shiv on Yorke, he used it on himself in the cafeteria and framed Yorke for the attack. Oliver was left bleeding and Yorke was removed…but he kept his life. The Longbow Hunters, Red Dart, Silencer, and Kodiak, made their presence known by pulling off a brutal heist. Meanwhile, Felicity assembled most of the former Team Arrow to tell them she had a new way to find Diaz. Felicity was a “guest” of ARGUS and under their protection. But Felicity butted heads with John Diggle because he wouldn’t let her resort to her old tricks. Not that it stopped her. 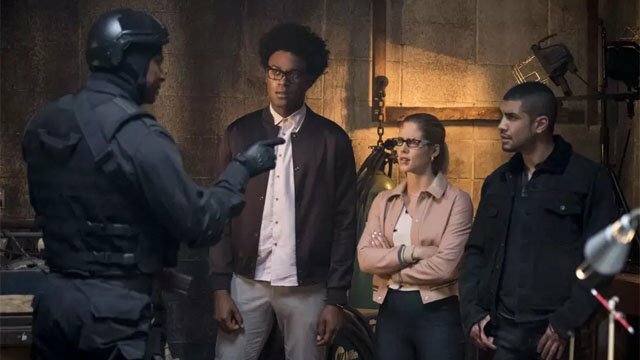 Felicity convinced her former team to storm one of Diaz’s hideouts just before Diggle led an ARGUS team into the same facility. Diggle and Felicity continued to clash after learning that Diaz had stolen a battery that could be used as a weapon. Eventually, cooler heads prevailed and Felicity agreed to do things the ARGUS way. However, the Longbow Hunters tore through most of Diggle’s men while attempting a train robbery. Felicity refused to disconnect the train cars to stop Diaz because it would let him escape. Curtis ended up doing it for her. Diggle recovered the battery, and he survived the encounter. However, Felicity informed Diggle that he wasn’t the right person to help her bring down Diaz. Instead, Felicity approached FBI Agent Watson, the woman who arrested her husband. Watson seemed incredulous that Felicity actually expected her to help. Black Siren/Laurel has been ditching her protective detail. Therefore, Dinah made it her business to protect the District Attorney even though she hated her. Laurel quickly evaded the police again, but Dinah tracked her down. Laurel explained that she believed Diaz was hiding nearby. Dinah realized that Laurel wanted to kill Diaz without interference. Only Silencer was left behind to fight the two women, but she was more than enough to handle them both. Silencer’s sound nullification was only thwarted by a combined Canary/Siren cry. But she still got away. Later, Laurel approached Dinah in her office and pledged to stop ditching her escorts. She also tearfully apologized to Dinah for murdering Vigilante. Dinah was more surprised than moved. But she didn’t offer Laurel her forgiveness. In the flash forwards, William bonded with Roy and randomly mentioned how his relationship with his ex-boyfriend fell apart. More intriguingly, William revealed that he never reunited with Oliver and Felicity, and he went on to become a tech guru as well. William also told Roy that the arrowhead given to him by Felicity had a transmitter that led him to the island. With Roy’s help, William located a cache of his father’s arrows and a bow. Roy immediately found a message hidden in the bow, then quickly burned it. Roy then informed William that he should pack his things, because they are going back to Star City. 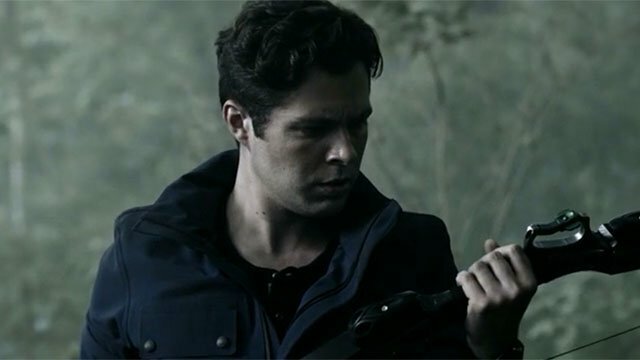 What did you think about Arrow season 7 episode 2? Let us know in the comment section below!